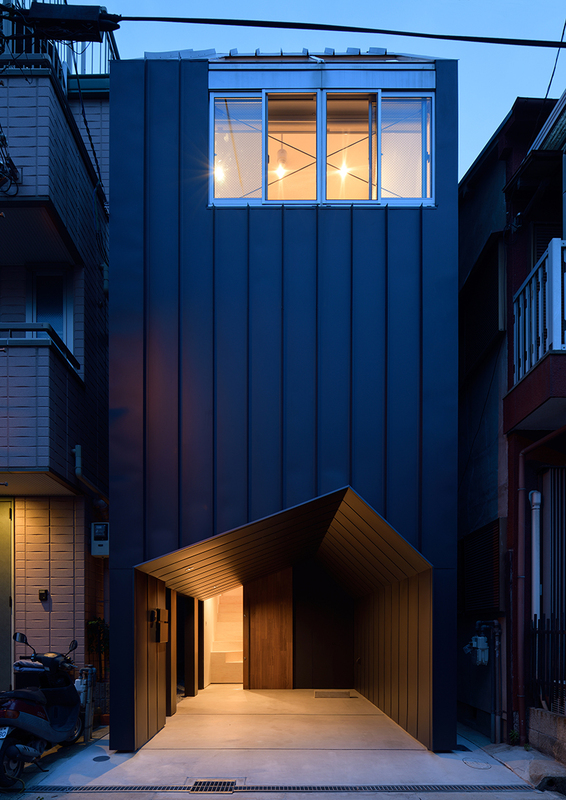 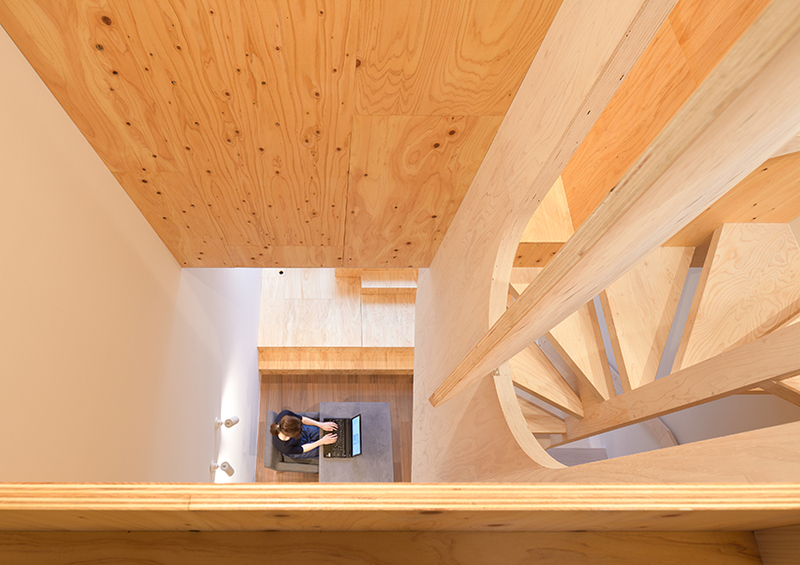 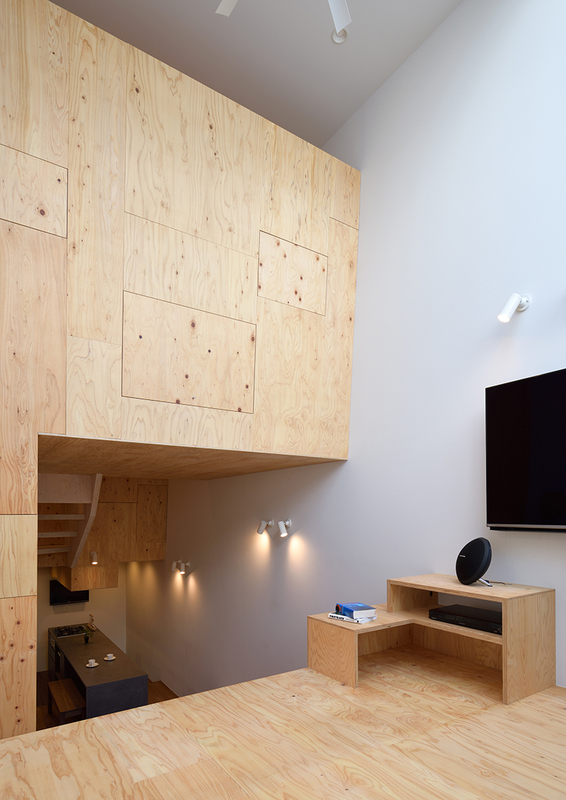 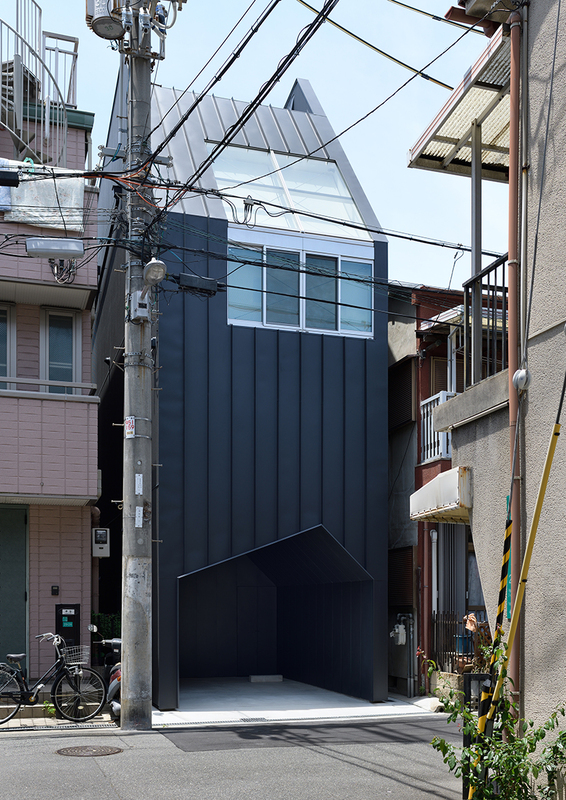 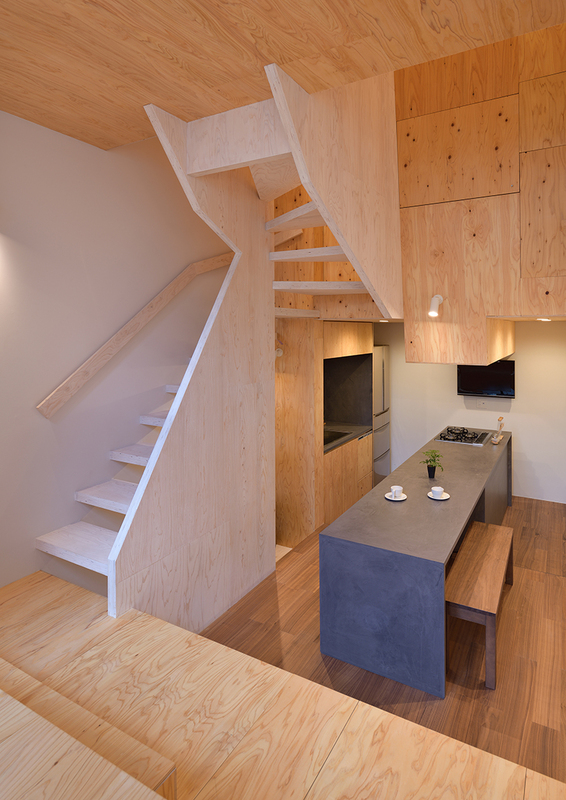 ‘YMT-house’ by GENETO studio is located in osaka, japan and creates only a 49.5 square meters footprint. 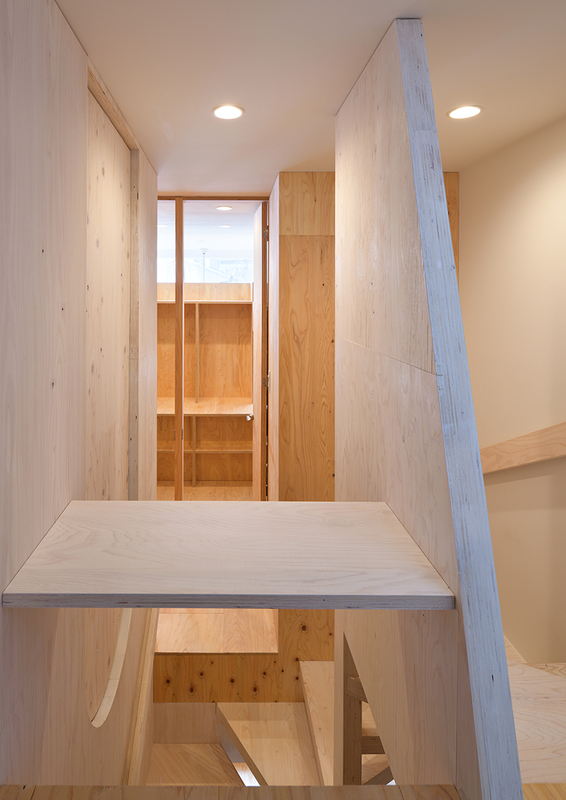 in this limited space, the client required a spacious living room for the family of four, and then private rooms, enough storage, and accessible rooftop. 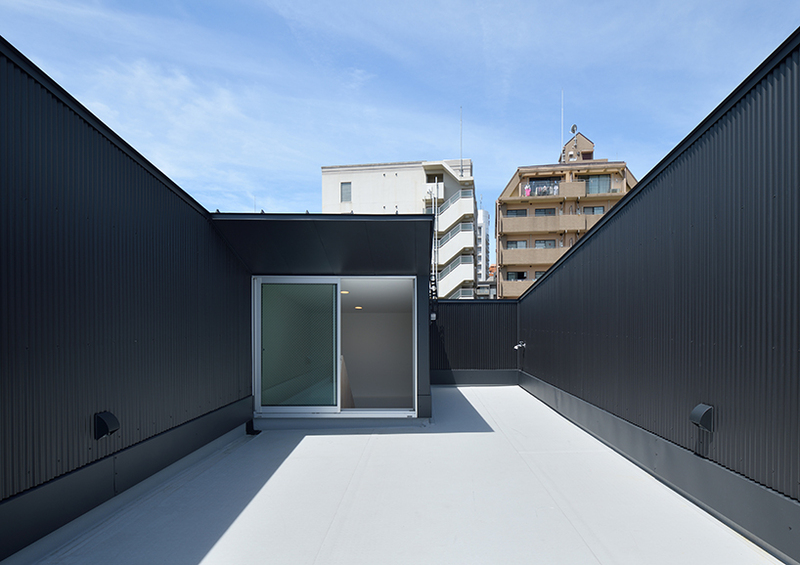 to enrich and enhance lifestyle while meeting all these requirements, the metal black house focuses on the scale difference between each room. 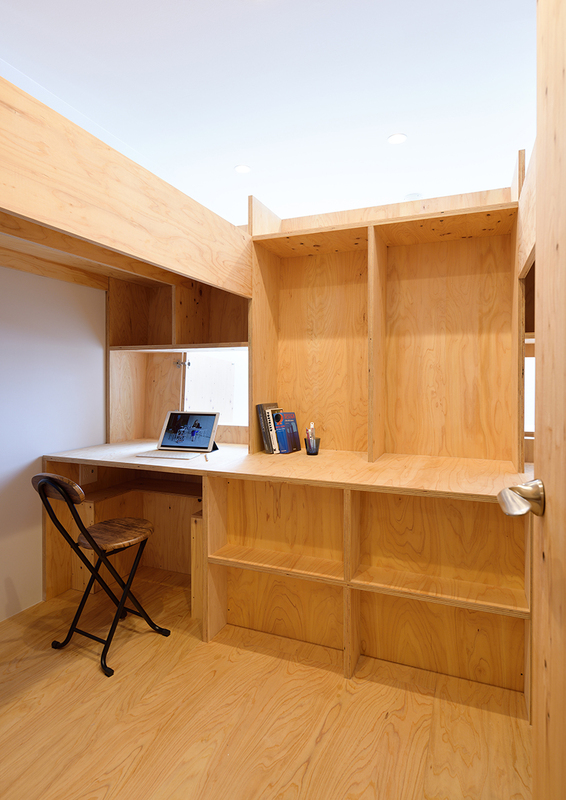 the bedroom above the communal area is just three tatami-mat space with storage, while the kids’ room is a little bigger and furnished with desks and beds for two. 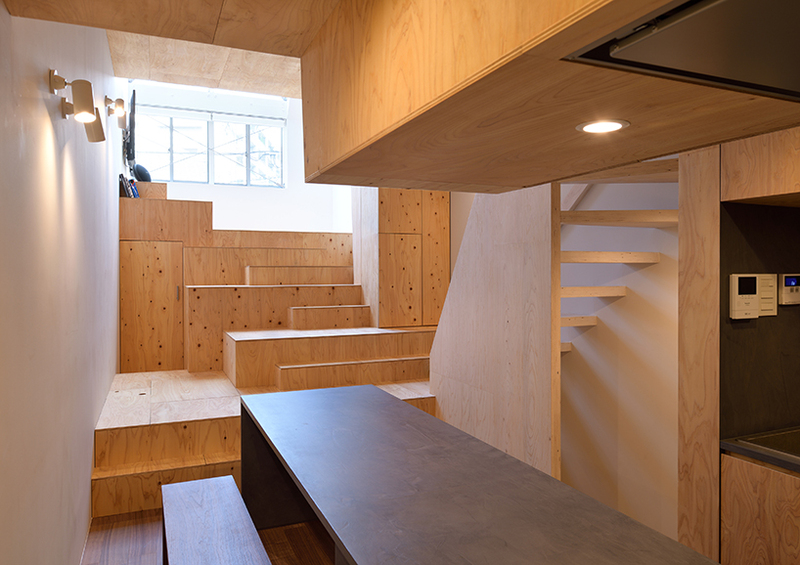 half of the upper part of the bedroom is a combination of storage and study room, and the rest of the space is occupied by the staircase to the rooftop. 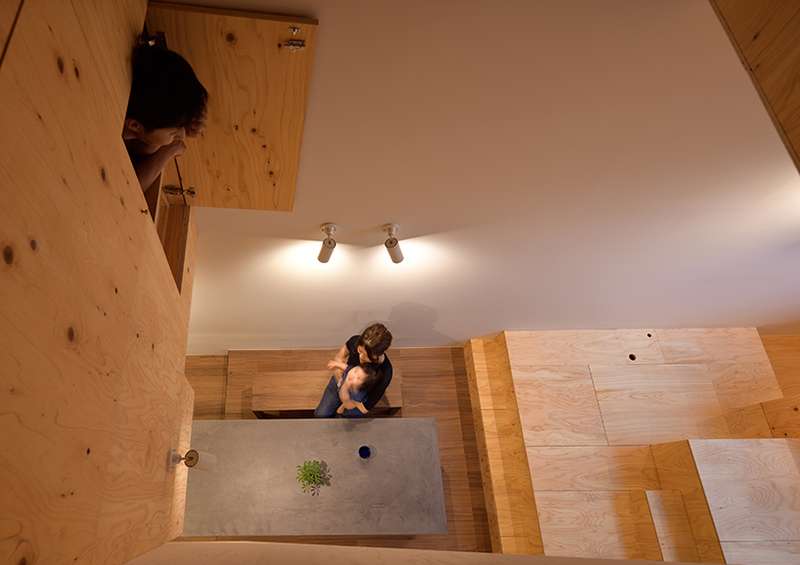 instead of a handrail, the extended wall creates enclosed space which provides smooth visual axis to the sky while shutting out from the gaze of others. 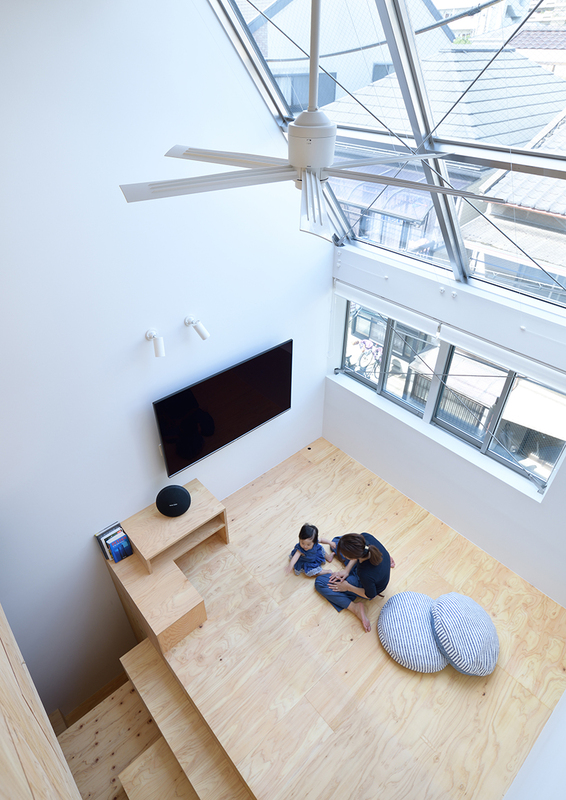 as a second living room — in addition to the second-level space inside — this outdoor area can be used for a variety of activities such as bbq or an inflatable swimming pool for kids. 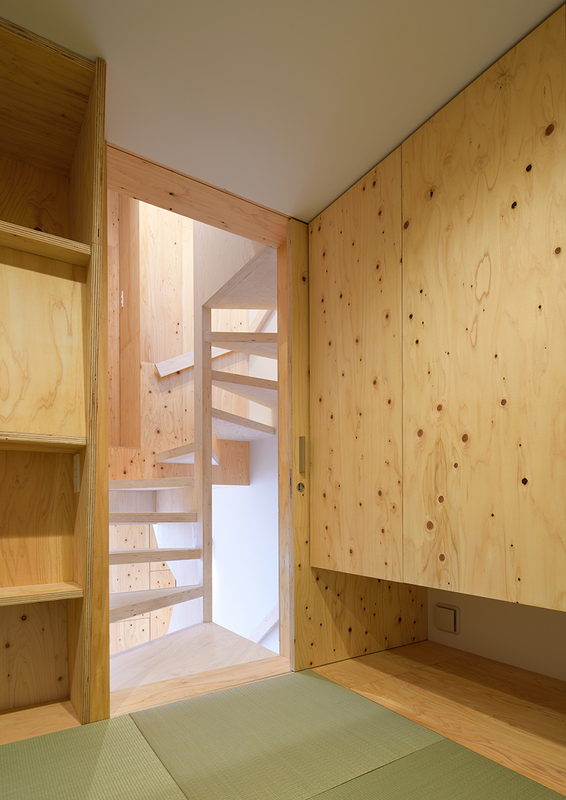 most of the rooms are connected directly to the staircase — it is not only a vertical moving line but also an enclosed space for reading books or having a break.